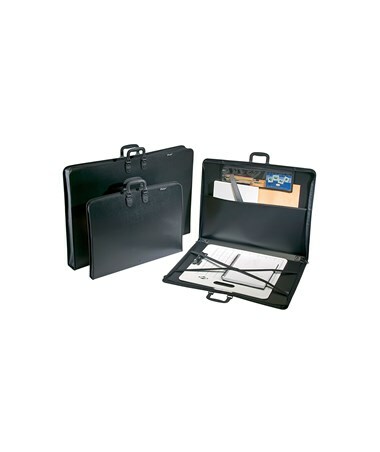 The Prestige Studio Series Art Portfolio is a durable zippered portfolio designed for heavy-duty applications. It is made of tough polypropylene material with stitched cloth edges that provide additional support. Its molded plastic handles are securely riveted in four places providing comfort and maximum strength at the same time. 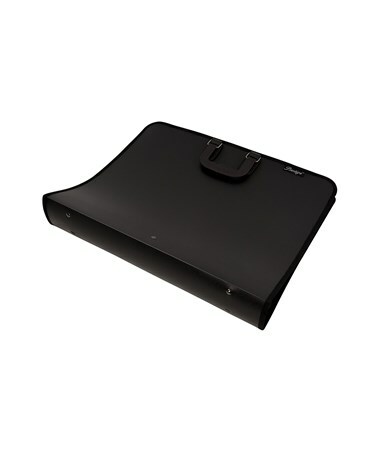 It is sleek and professional-looking with its black color. This art portfolio offers ample space inside to accommodate different materials. 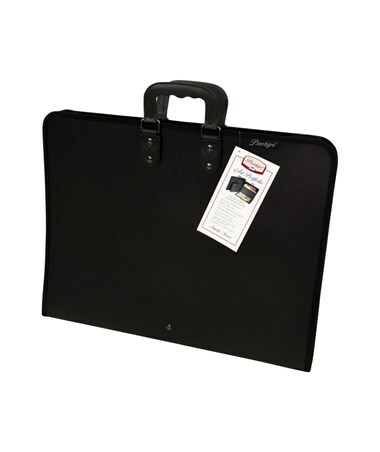 It features a zippered 6"W x 17 ¾"L inside pouch that is ideal for carrying smaller objects. 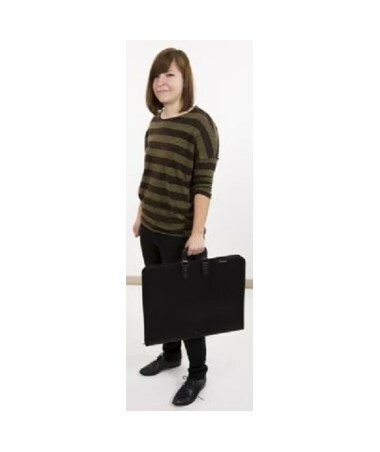 It is also equipped with crossing elastic straps with clasp and a full-width large pocket on the opposite side for holding pads, canvas, art panels and other large items. With an ID/business card pocket, it allows labeling for easy identification. 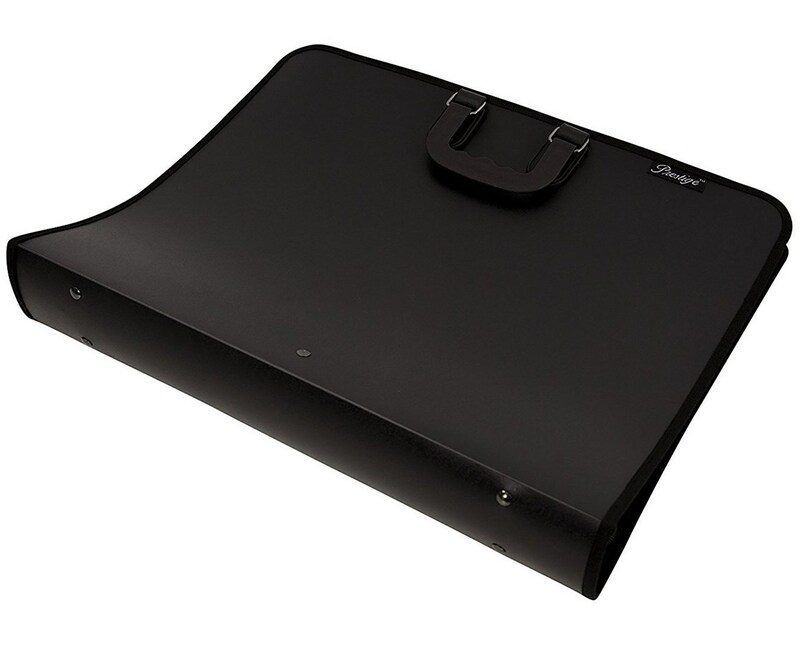 The Prestige Studio Series Art Portfolio allows expansion with its gusset that comes in two widths—1 ½ inches and three inches. It is available in six varying sizes to provide solution to most storage and transport needs. 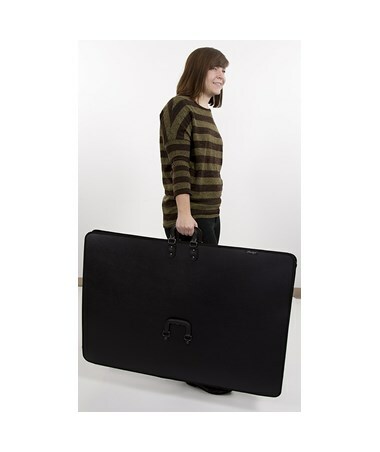 Larger models, from 24"W x 36"L and up, comes with extra side handle for added convenience. The Prestige Studio Series Art Portfolio offers 12 models of varying portfolio size and gusset width for different storage needs. Please select your preference from the menu above. Gusset Width: 1 ½" or 3"